When I heard it was National Bourbon Heritage Month, I was astounded. Mostly astounded that they had actually passed some Senate resolution at one point in time for that. Or so interweb legend holds. But I thought about it. Bourbon is my favorite hard liquor. I could pretty much drink it to the exclusion of all others. It has, however, been a long evolution. I grew up in a brown liquor family. You can read my earlier post, The Whiskey Standard, about my grandmother’s bourbon stash. Oh, there were lots of martini’s and tom collins’ around. The occasional Gin Fizz and whatnot. I was not even sure what the hell vodka was for as a child. There were bottles of it around, but I am not sure I ever saw anyone drink any of it. Mostly people drank bourbon and soda, manhattans, old fashioneds, scotch and soda. When I was 15 I bartended (if you could call it that) for my Grandmother’s 76th birthday. The old ladies, while not telling dirty jokes that made me turn red, were telling me not to go too lightly on the scotch. At a funeral for a family member, after the service there was an open bar at the golf club where the wake was held. It was 6 deep at the bar. I was trying to get a scotch and soda for my great aunt, 88, but when she saw how long it was taking me to get through the press, she just got in there and elbowed through the younger people until she got to the bar and got her drink right away. Who is going to stop a little old lady, plus she looked pretty mean. I remember when I was little taking sips of my parents drinks. I can still almost, but not quite, recapture the smell of the liquor in my mind. Later on a couple of magazines my parents took had little foil packets in them, they looked like little handi-wipes, that were “smelling wipes” that smelled of bourbon. I can’t remember the brand. I smelled those little pads for days. They made my mouth water. To this day, thinking about a good bourbon can make my mouth water. In college, when I could actually start drinking, I went through a rebellious youth stage. I drank a lot of long island iced teas, rum and cokes, margaritas, etc. Salty Dogs. It was a rough time. I did not drink all that much bourbon or any kind of whiskey during those dark years. Finally, a light shown after college. I realized that my father had been right about a lot of things. Drinking was one of the major ones. So, I started drinking bourbon and seven’s, things like that. Or bourbon and coke, John Collins, and the like. Later I moved on to bourbon and soda. Then bourbon and water, bourbon splash of water, bourbon-water back. Now, if the bourbon is good, just bourbon. If it is hot, bourbon and soda is still awesome. So, my bourbon heritage is pretty much my whole life. My kids even like the taste on the end of their finger. 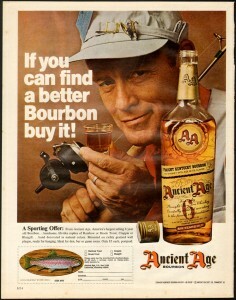 Now, I just have to recapture those smells/tastes of the bourbon of my own youth. 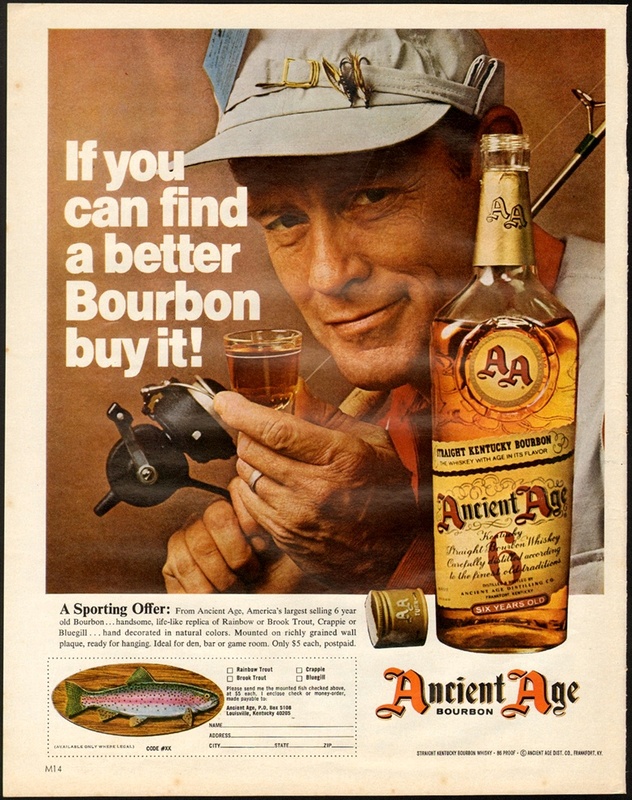 I am thinking maybe that it was Ancient Age bourbon. The current Ancient Age does not seem quite like it, but it is quite possible that it has changed hands, changed distilling, etc. I have not researched that yet. The quest goes on. National Bourbon Heritage month. How does bourbon fit into your life? The right period in time. It is familiar.....Is it it?